Tangy Mae Quinn is the sixth of ten fatherless children born to Rozelle. She bears the brunt of her mother's cruel attitude and outlook on life. Tangy Mae may be dubbed the ugliest in her mother's eyes because of her dark skin, but she is also the brightest. Rozelle pulls all her children out of school at the young age of 12 to earn their keep. Tangy Mae, of course, wants to be the exception to that rule. It is 1958 and she is selected to be one of the few black students to attend an integrated class at a white high-school. (And sadly as I re-read this book in 2018, racism based on the color of skin still persists today. The world is not so integrated all these years later.) Nevertheless, Tangy Mae is schooled in and outside of the building's walls. I recommend The Darkest Child for literature lovers. I am talking those that love the writings of Maya Angelou and Toni Morrison. It is a difficult read with scenes that force a reading break to get through. There are passages that warrant multiple gasps. And with every page turn, you peel back layers of the story. It is a deep tale told well. But even this second go-round did not make me like the book more than a 3-heart rating. It was hard for me to relate to the too intense characters. Is this a black family's reality somewhere? Because I still have a major disconnect with Tangy Mae and 'nem. 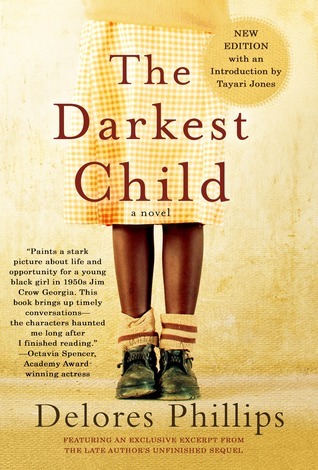 However, The Darkest Child is a classic novel that literature lovers should read at least once. Happy Re-Pub Day to the late Delores Phillips! 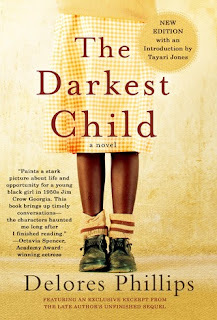 The Darkest Child re-release is now available along with an introduction by author Tayari Jones and an excerpt from the unfinished sequel.